Hello friends, Happy Halloween Day! 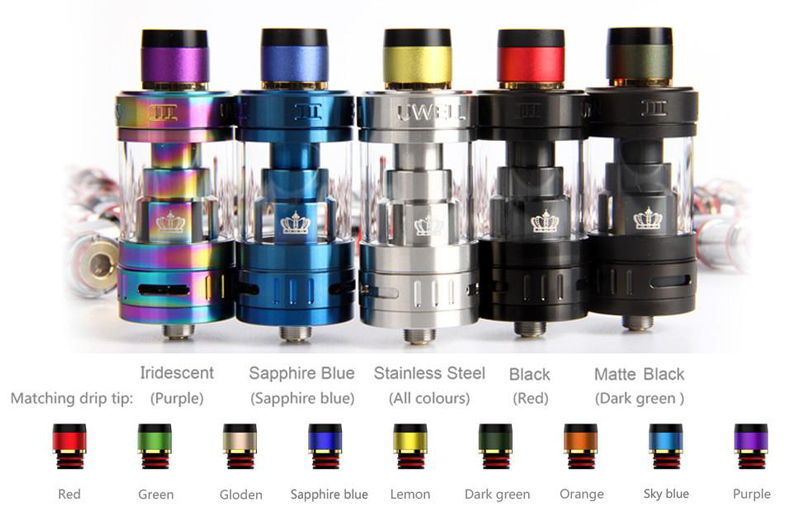 Today Uwell Official presents us the UWELL Crown 4 Tank. It will be the unique sub ohm tank on the vape market. Let us look at more details about it. Don't forget to enjoy the ElegoMall Halloween Vape Promotions. UWELL Crown IV Sub Ohm Tank is upgraded from the before version. With the size of 28*54.85mm, it can hold 6ml and 5ml capacity e-liquid for you. Made of the stainless steel and high-quality material, the UWELL Crown 4 Tank will be the durable atomizer. With the hand polished processing, the UWELL Crown 4 will be your ingenuity. Adopted with the patented self-cleaning technology, the UWELL Crown 4 sub ohm atomizer has not any leakage. Comes with the unique Dual SS904L Coil and Double Helix Mesh Coil, the Crown 4 Tank aimed to bring you the excellent flavor. You can easy to screw the top cap to refill the e-juice. 6 colors available. Get the best UWELL Crown 4 Sub Ohm Tank to pair your box mod to experience the excellent flavor. You may also like other Uwell atomizers. Let us review it now. 4. Plug-pull coils, easy to replace. 5. Separate condensation holder, easy to clean. 6. The unique flavor testing technology from UWELL, perfect the flavor profile. 7. Large clouds with low wattage, power-saving and juice efficient. You can also find your favorite vape devices from ElegoMall.Com. ElegoMall is the best vape online wholesale store.